PASADENA (KTRK) -- The City of Pasadena is encouraging everyone in the community to dine out to help out! This year, 11 Pasadena restaurants have teamed up to host fundraisers in support of the annual Can Do Food Drive. Monday, Oct. 17: Savannah Café & Bakery (5968 Fairmont) from 10 a.m. to 7 p.m.
Wednesday, Oct. 19: (two restaurants this day) Pappa Yolk's Grill (5824 Spencer) from 5 a.m. to 3 p.m. Chipotle (5759 Fairmont) from 4 p.m. to 10 p.m.
Thursday, Oct. 20: Casa Ole (4108 Spencer) from 11 a.m. to 10 p.m.
Friday, Oct. 21: Ernie's Café (1860 E. Sam Houston Pkwy. S) from 10:30 a.m. to 2 p.m.
Monday, Oct. 24: Willie's (3481 E. Sam Houston Pkwy. S) from 11 a.m. to 10 p.m.
Wednesday, Oct. 26: Monterey's (2828 Southmore) from 11 a.m. to 10 p.m.
Thursday, Oct. 27: Peter Piper Pizza (3471 E. Sam Houston Pkwy. S) from 4-9 p.m.
Friday, Oct. 28: Chick-fil-A (5104 Fairmont) from 6 a.m. to 10 p.m. The Can Do Food Drive is an annual event hosted by the City of Pasadena, the Pasadena Chamber of Commerce and Pasadena Independent School District. Held each November, the food drive collects non-perishable food for five Pasadena food pantries: Pasadena Community Ministries, Salvation Army, Sarah's House, The Bridge and Society of St. Stephen (food pantry at First United Methodist Church). 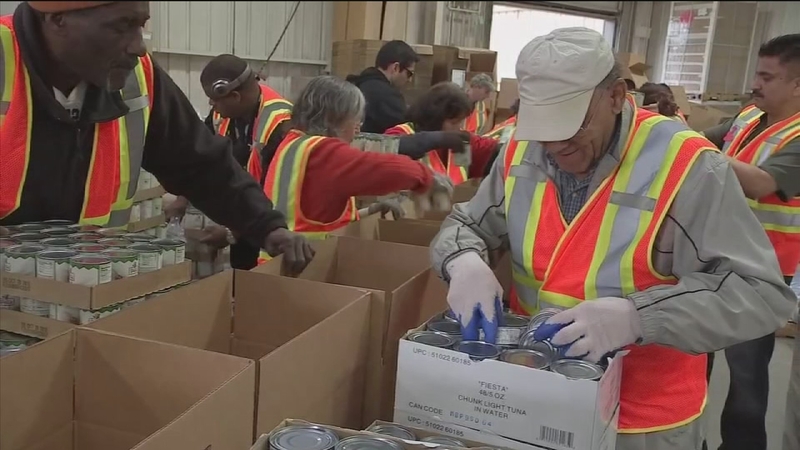 The food collected each year helps feed thousands of Pasadena families in need. Last year, more than 40,000 lbs. of food was donated at the event and this year, event organizers are hoping to surpass the 50,000 lb. mark.